When I first contacted Amy, I asked her the most vague question about vacations that you can probably ask. She quickly got me on track and helped us find a perfect resort for our first time traveling with our young family. We had no idea how to get started. We have three toddlers (ages 4,3, and 1 year old at the time) and had never stayed more than a night or two with them somewhere, much less flown on a plane. Amy helped us every step of the way from passports for the kids to all the details of the various resorts. When we started with her, she quickly got back to me with a few different ideas for resorts, with prices, room types, flights. While we narrowed down what we wanted, she remained available and answered all our questions very promptly. 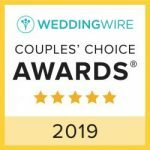 Just when we thought we had our destination picked, I asked her to check out one more place for me, The Paradisus La Esmeralda in Playa Del Carmen. Boy are we glad she did! She helped us book a fantastic family vacation! She set up all our transfers, cribs, and family concierge. She answered all my questions and when I was feeling nervous, she helped to allay my fears. She gave me great tips for traveling with kids. Her help did not end once we booked the trip either. She was in contact with us before the trip with tips and reminders. 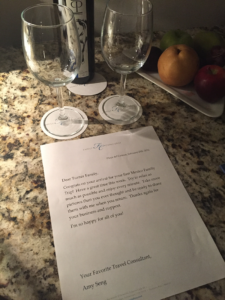 She even had a bottle of wine waiting for us in our room when we arrived! She even checked in with us via email when we were there. We had a problem with our transfers being late and she reached out to Funjet and got us credit for our next trip! She was so easy to work with and there is no doubt I will be calling her again to help me with another vacation. The resort itself was amazing. 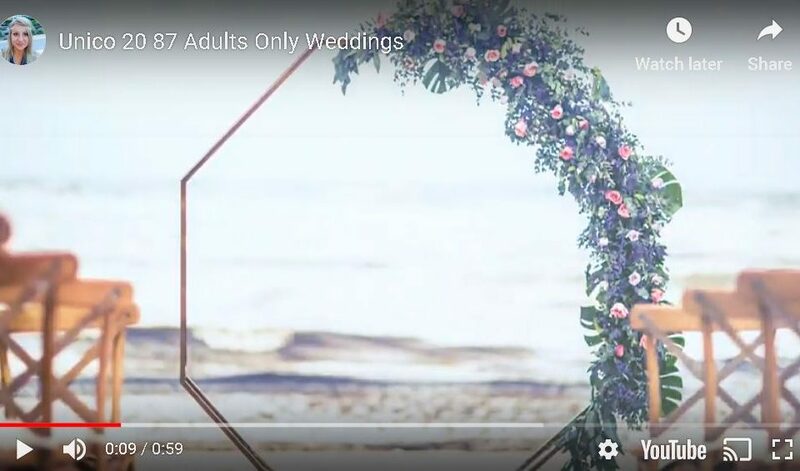 Family friendly on one side and adults only on the other, it has something for everyone. We decided to book the Family Concierge option. This gave us a butler that we could reach anytime by a phone that was provided to us at check in. Also, there was a dedicated Family Concierge building with its own check-in area and always stocked with snacks and drinks (and smelled amazing because of fresh flowers everywhere!). This was right next to the Family Concierge pool that was heated with a swim up bar. Our butler met with us shortly after check in and got us anything we needed. They left a treat in the room every night for the kids. 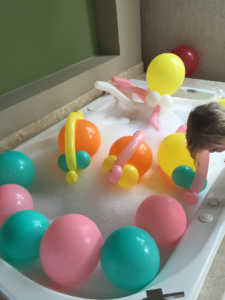 The tub was outside the room on the balcony and one night they came and made a big bubble bath with balloons for the kids. We felt like royalty. They handled all the dinner reservations for us. We were very spoiled. 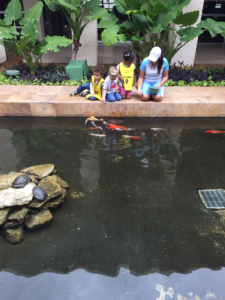 I would recommend the Paradisus La Esmeralda to anyone with kids. 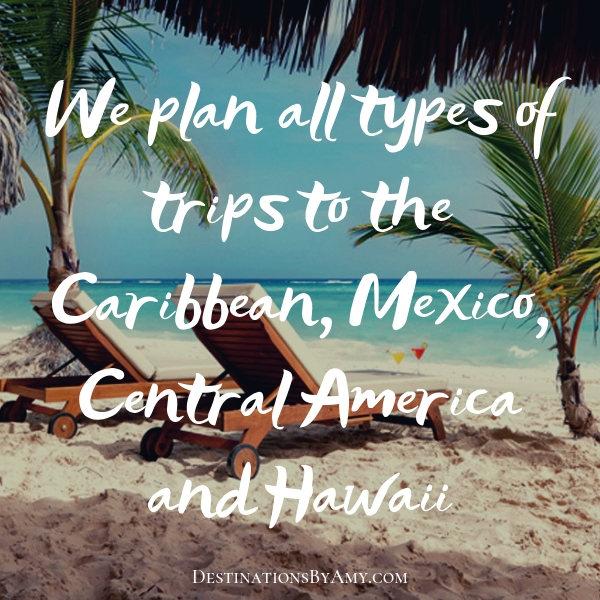 I would recommend Destinations by Amy to get you there! Thanks to our fabulous travel agent, Amy Seng! 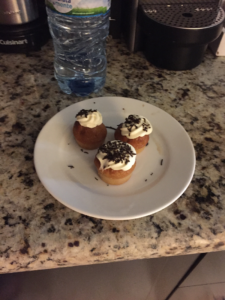 Daily Sweets in our room every day! Thanks so much to the Kelly & the Turner Family for your kind words and support! 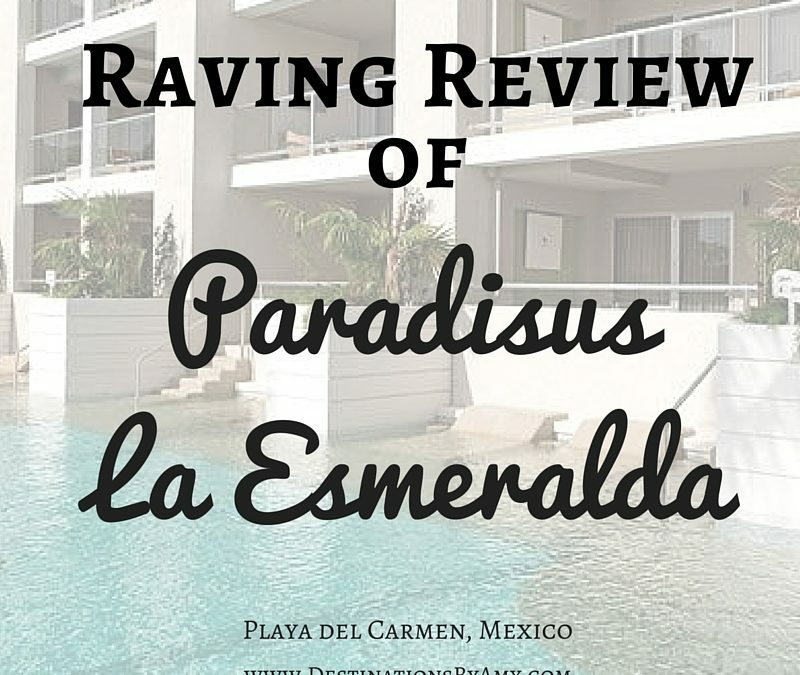 Your review of the Paradisus La Esmeralda really shows you how much I care about your travel experience. I am so happy that I was able to help you make such great memories. Your family is beautiful and I look forward to helping with many more trips to come.